Ethel Mae Holloway Smith of 32 Pine Grove Avenue passed away Sunday, November 25, 2018 after a long illness. She was born May 3, 1919 in McCormick, South Carolina to the late Louis and Mamie Jackson Holloway. 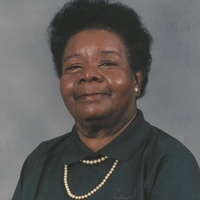 Ethel was preceded in death by her husband, Milton Smith; sisters, Janie Simmons, Classie Gaffney, Luvenia Johnson, Alice Holloway; brothers, Joseph “Joe” Holloway, McDaniel Holloway, Earl Holloway and Henry Holloway. Ethel was a faithful member of St. James Methodist Church in Baltimore, Maryland. Although she had no children of her own, she will always be known as “Aunt Ethel the enforcer” by her nieces and nephews. Ethel believed in the abilities of the young minds in her family to get educated so she was always willing to support the efforts. Ethel will be remembered for her sharp tongue, warm heart and generosity. She spent most her adult life in Baltimore, Maryland. She was a dedicated nurse for 45 years at Baltimore City hospital. At her home on 1944 West Fayette Street, she was the neighbor everybody wanted. Ethel epitomized “do unto your neighbor as you would have them do unto you”. Ethel is survived by nieces, Barbara Kane (Harold) and Brenda Holloway; nephews, Gary Holloway (Elnora), Melvin Holloway(Edie), Dr. McDaniel Holloway Jr. and Larry Holloway; a host of grand and great grand nieces and nephews. She also is survived by her dear cousins, Jean Ann Lytle and Mildred Fleming. A special thanks to caregiver, Jameral Wallace and helpers, Sharon Mapp and Veronica Sanchez. The family will receive friends at 9 Swindale St.